It’s just a bus route. I know. Hard to get all worked up about it when there are 30,000 men and women heading to Afghanistan. But this bus route and I go way back. When I first moved to SF in 1984 this was my ride to graduate school. At the SF Art Institute on Russian Hill. The 26 to the 30 Stockton. Talk about a long slow journey. 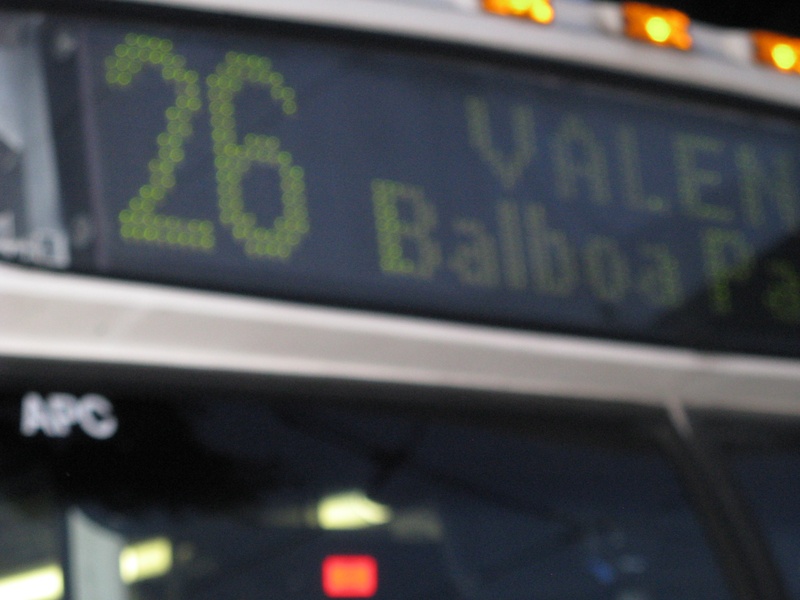 I rode the 26 along Valencia and Market Streets in the rain and shine. Toting my 16 mm Bolex movie camera, Sony tape recorder and brilliant ideas. Years later, I rode it in the opposite direction to my book writing class in Glen Park. 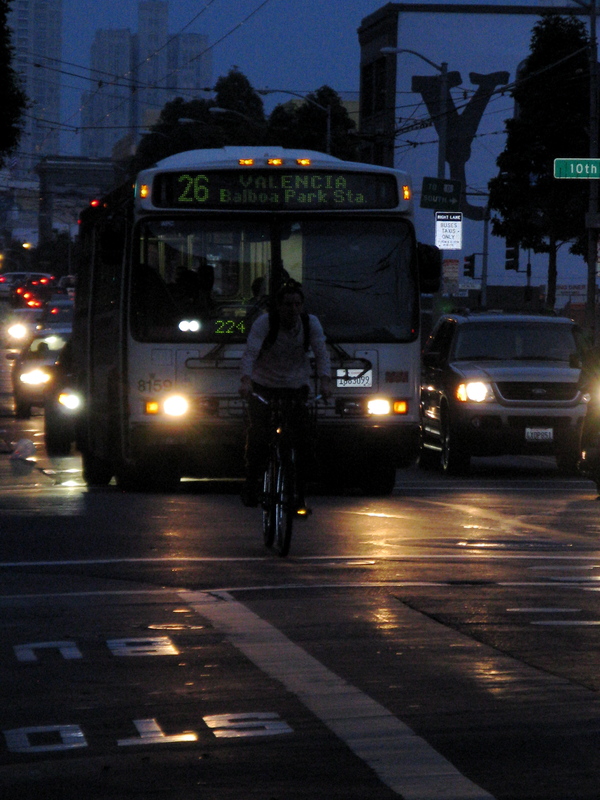 I waited, rarely patiently, at 19th and Valencia for the number 26 to chug along. This time clutching the latest chapter of my long-suffering novel. For all of the right reasons, MUNI is discontinuing this route. I should know. My partner Peg worked long and hard on the Transit Effectiveness Project that recommended these important changes. But that doesn’t mean I can’t mourn the loss of one of my favorite bus routes, does it?